A whirlwind trip to Dublin over a weekend is perfectly doable! We spent one weekend in Dublin coming from Brussels and a weekend trip for us provided enough luck of the Irish to be satisfied! Chapter One is located in the basement of the Writer’s Museum “serving authentic Irish with classic French influence” and is cooked up with locally fresh ingredients. Chapter One has a Michelin Star and is amazing for a splurge! It is closed Sundays and Mondays and reservations are recommended! With enough advance notice, request the chef’s table. Queen of Tartes – This small pastry shop offers breakfast or afternoon tarts/desserts for a snack. These delecacies are very rich and can absolutely be shared. It should also be noted that everything we ordered was SO GOOD. Eden – This restaurant is located in the Temple Bar area (known for the night life) and serves contemporary Irish food – lunch or dinner (great lunch deal). Eden does not have a huge wine list but we were satisfied with what we had ordered for dinner. Peploe’s Wine Bistro – Located south of the Liffey area. Bewley’s Cafe – This cafe is perfect for lunch and tea/coffee on Grafton Street – a nice option for a mid-shopping stop! 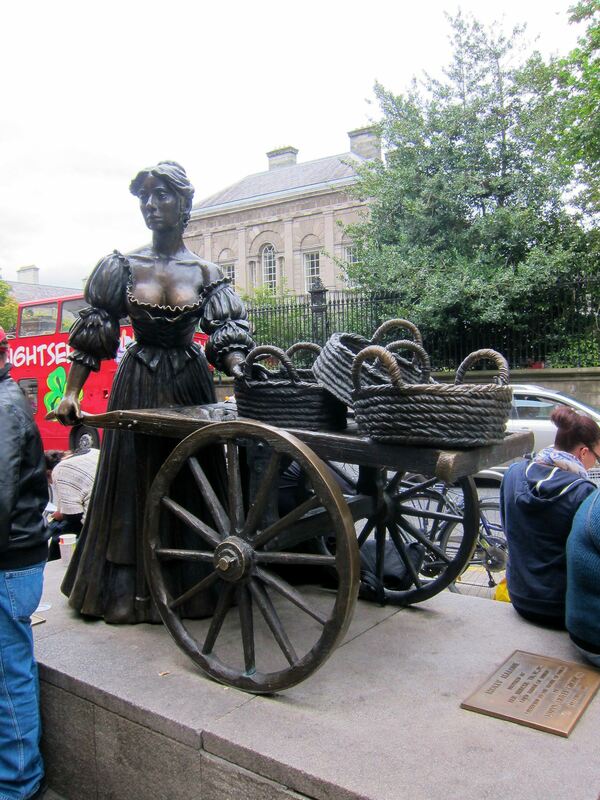 It also happens to be located near the Molly Malone statue so be sure to stop for the photo op! Canal Bank Cafe – I had one of the best burgers here for lunch…granted we hadn’t had a good burger in over a year living in Brussels so take it for what it’s worth. Cute, quaint, good service and priced well. The Pig’s Ear – gourmet Irish food – lunch or dinner (closed Sundays)- The Pig’s Ear also has great reviews on Trip Advisor. Be sure to try Soda Bread (brown bread). It’s amazing and served at most restaurants. I was dead set on doing a pub crawl in Dublin but we didn’t have time for it. I heard the Literary pub craw was good and there’s also the Musical Pub Crawl which came recommended to us. For all the golfers, check out the K Club. My husband thoroughly enjoyed his golfing experience here while I thoroughly enjoyed the spa 🙂 Take a walk around the grounds, they really are stunning! We took advantage of the red hop-on-hop-off bus since we had limited time in Dublin. It stops at the Guinness brewery (make reservations in advance or risk not getting in) and the tour is quite good, in the end you each get a large Guinness on top of the building which has a 360 degree vantage point overlooking the city. It gets very crowded to so plan accordingly. Also, if you like Waterford crystal, buy it in Dublin. Its so much cheaper than in the US! We enjoyed Dublin Castle and Trinity College’s “The Long Room” with the Book of Kells (think Harry Potter). 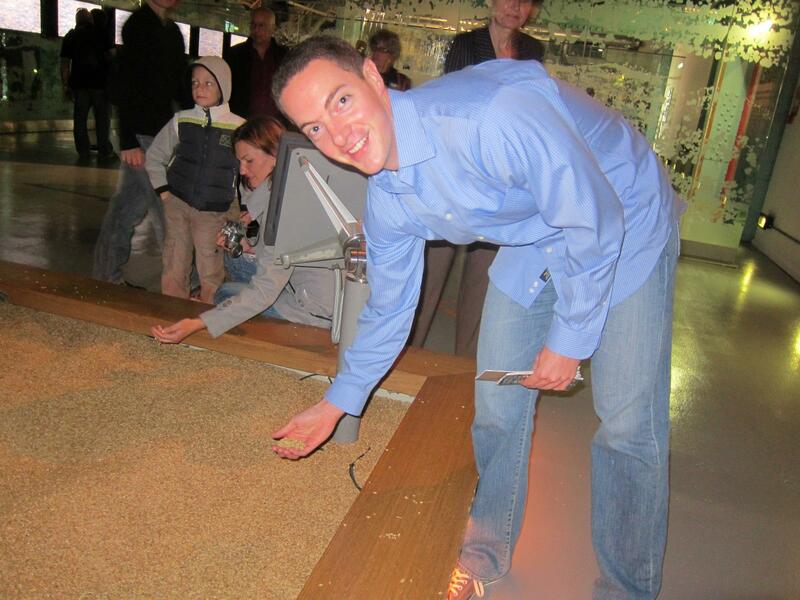 This entry was posted in Dublin, Europe, Travel and tagged book of kells, Dublin, dublin castle, Europe, golf, grafton street, guiness, Ireland, irish, K club, Molly Malone, pub crawl, soda bread, tarts, the long room, tour, trinity college, waterford. Bookmark the permalink.